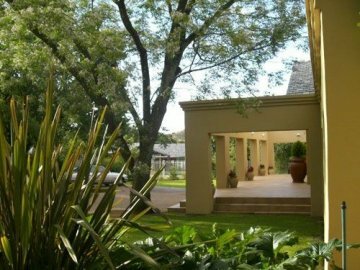 Bayswater Lodge is a well established guesthouse that is situated in an upmarket residential area. 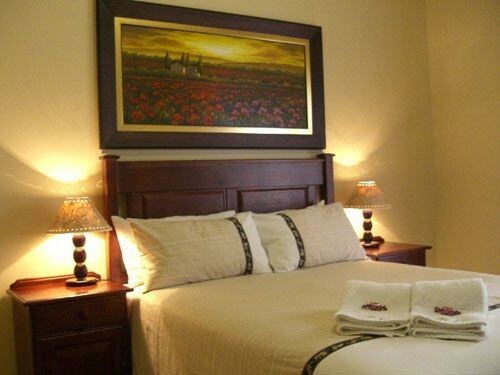 It offers stylish accommodation to businessmen and tourists alike. 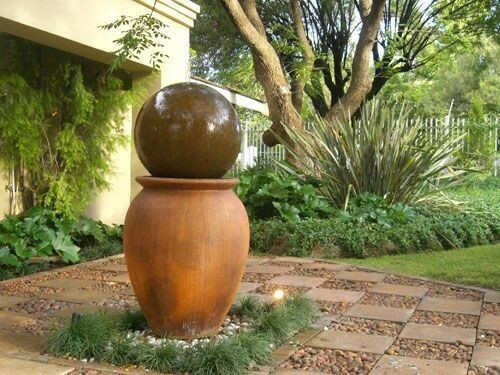 Here you can take off your tie, relax at the lapa in the beautiful tranquil garden and enjoy a drink from the rustic bar. 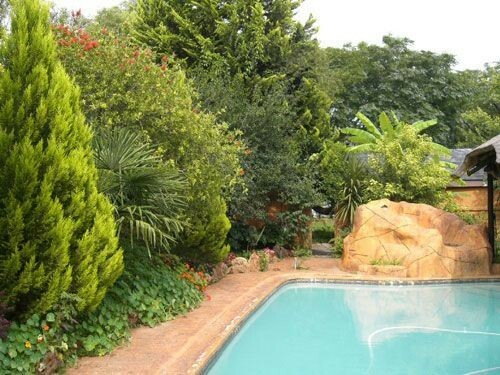 You can play a game of pool, you can swim or just sit back, relax and enjoy the natural surroundings. 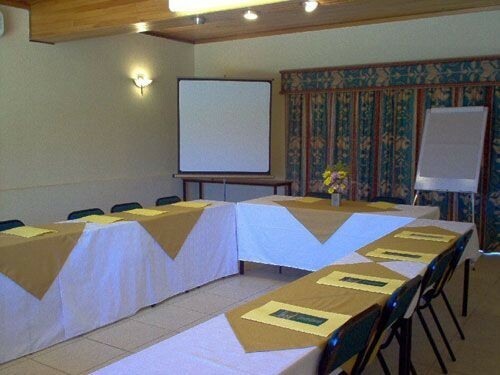 The conference room is the ideal venue for conferences, seminars and training up to 37 people. Personal service by owners Tony & Pauline Dietstein. 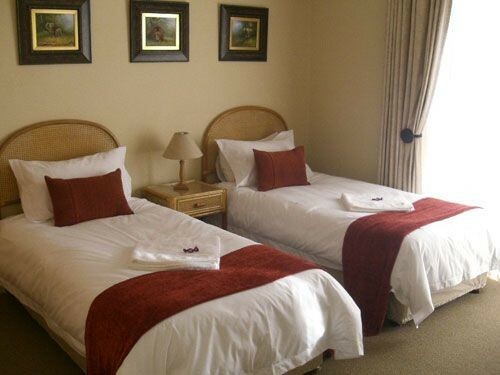 We have 10 en-suite air conditioned bedrooms (8 bedrooms with double or queen beds and 2 bedrooms with 2 single beds. 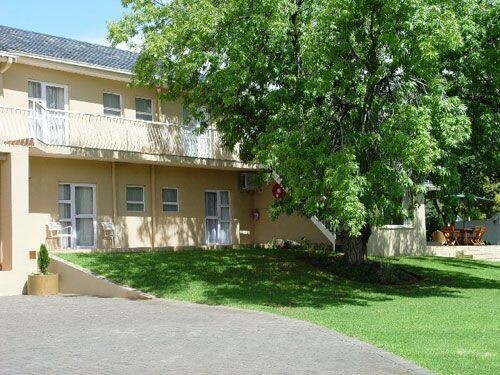 ), stylishly furnished and equipped with a television with M-Net, tea and coffee facilities and a desk with a desk lamp. Selected bedrooms have a glass door opening into the garden or patio area. Ample and safe parking for visitors. Our conference facility is an air-conditioned venue set in a secluded garden. FlipChart & Screen is standard. Additional equipment must be prearranged. Delegates can interact without distractions and interference. 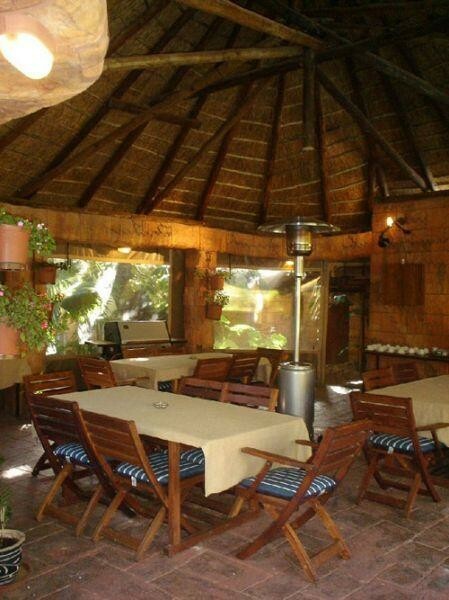 Tea, Coffee & Lunch is served under the enclosed Lapa next to the pool. A special braai in the Bar/Lapa can be held for delegates on request. 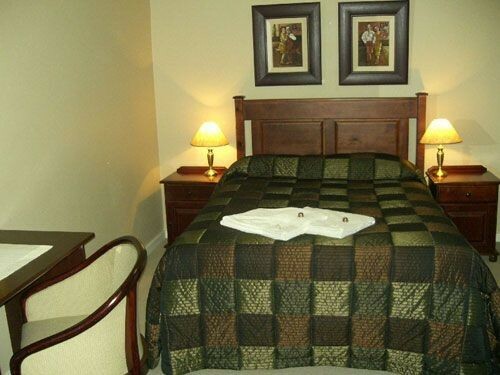 Transport to and from the Airport, Tourism Centre, or where ever you desire are available at a standard rate.